How the company created a culture around employee fulfillment rather than focussing on a physical location. Keep a healthy work-life balance, work from a happy place, and turn up during your most productive hours. These are the principles behind Piktochart’s remote teams. Because giving people the freedom to choose where and how they work can lead to higher levels of employee happiness. And for Piktochart, that means better motivation, more sustainable relationships, and increased retention rates. So how do you implement and manage remote teams? While Yahoo’s Marissa Mayer called for a strict office presence policy in 2013, startups including Buffer and Groove did the exact opposite—opting for fully remote teams instead. And it’s working. Today, fewer of us are convinced that people need to be in the office from 9 to 5 to be productive. Instead, we’re empowering employees to be fully autonomous. At Piktochart, we’re a combination of both. While we still have our beautiful office on Penang Island in Malaysia, most of our marketing and customer delight teams work remotely, scattered throughout the world. For me, it all started after spending a year in Malaysia. I decided to go back to Europe to be closer to my family. Luckily, our CEO Ai Ching Goh trusted that we could make this remote situation work. Sure, we were skeptical at first, because we didn’t know many companies that had tried a semi-remote approach. But one thing we did know, was that we needed people to be closer to our users. So to onboard our users effectively and build a strong sense of community, we started recruiting a semi-distributed marketing team, located from Japan to Argentina to Europe, and back again. We didn’t know this back then, but this decision wasn’t only about hiring a few location-independent people. We needed to adopt a remote mindset throughout our entire company. We also needed to rethink our benefits package, and invest in things like proper onboarding, team bonding time, and tools that would make collaboration across time zones possible. Just like any successful relationship, cultivating trust in a virtual environment is incredibly important—especially when relying on online communication tools. In her TEDx talk, Rachel Botsman refers to trust as the currency of a new economy. This brings us to the first step towards making remote work successful: trust and empower employees to make their own decisions. But how? Make everyone involved in strategy-building and ensure that people can impact business results. By giving people trust, you give them the power to act in the best interest of your company. And it’s that faith in people that morphs into an unspoken expectation that they will want to fulfill. Maintain a flat organizational structure. Guide people towards working smarter versus longer. And where does it all start? With effective recruitment. In her recent interview for Founders FM, our CEO emphasized the importance of culture at Piktochart from its very early stages. One of the ways to ensure it’s not being compromised? We place a huge emphasis on culture during interviews for remote roles. Because culture is probably the most difficult aspect to convey and maintain over distance. We look for things like humility, passion, and both the ability and willingness to open up. Sharing the same core purpose is also extremely important. We hire people who believe in our mission and who are just as passionate about building our product as we are. A common goal brings people together, and believing we can reach that goal is the first step to success. That’s why we often look for potential hires among Piktochart users, because they already love the product. I was actually a power user of Piktochart in my previous life, as were some of our other team members. This doesn’t mean we only hire people who have been using our product, but rather those who show passion towards what they do, and are excited to grow with us. Working in remote teams often means operating in a multicultural environment, where like any shared setting, should be free from big egos and exchanges that lack empathy. So what makes distance collaboration possible? Clear and continuous communication. It’s being able to listen, being receptive to feedback, and communicating effectively with people from completely different backgrounds, education systems, and cultures. Empathetic people bring down barriers and are far more tolerant of others. They fully accept cultural differences and adapt their communication style to every single person. With a team scattered across the globe, this is essential. There are many temptations and distractions found at home, in shared workspaces, or wherever people work during the day. Self-motivation is key. So it always helps if candidates have previous remote experience because they tend to know what routines, settings, and tools work best for them. Usually, they already have the self-discipline necessary to be productive, and this is absolutely vital to ensure accountability. We don’t micromanage or hand-hold people throughout their workday. And even if we did, it would be next to impossible because of the distance! So we look for people who can make their own decisions. We do identify gaps that need to be filled with every person we bring on board, but it’s up to them to develop a strategy with an everyday action plan. With help from the team, access to resources, and a little guidance, we expect people to experiment, succeed (or fail), and repeat by making their own decisions. That’s why it’s so important to hire people who act like entrepreneurs and are comfortable working on their own. Believing in a company’s product and mission is key. But measurable goals and clear action plans need to be in place to keep people motivated, challenged, and focused on a common goal. This can be difficult for remote team members. Regardless of whether it’s remote or office employees, here’s our process for staying engaged with each other. It’s important for people to know how processes work, what customer challenges are, and what’s been done so far. We prepare onboarding documents, encourage people to meet with other departments, and occasionally have them work with our customer delight team to get an even greater understanding of user pain points. This leads to more informed decisions and clearer action plans. We also fly new people to our HQ so they feel the office atmosphere and experience our culture firsthand. People need to know where they’re heading, and they need to have clearly defined, measurable goals for them to feel accountable for their tasks. Once they know how their role is part of the bigger picture, they can then plan their steps and start measuring progress. At Piktochart, we use an Objectives and Key Results (OKR) system via the Perdoo platform. It keeps people on track and helps ensure everyone is aligned with team and company goals. One of the ways we make sure newcomers, including remote employees, live our values is by modeling behaviors that inspire others. We do our best to incorporate company values into our daily work, because they influence the way we communicate with each other, our customers, and our partners. We also use a remote-friendly employee recognition platform called Bonus.ly to give each other encouragement points for things like great teamwork, leadership, or being helpful. At the end of the month, those points can be changed into benefits like donations to charities of our choice. Communication needs to be totally revamped when implementing a remote mindset. It’s impossible to fully replace the positive vibe of the office, but there are things that can be done to ensure that remote team members don’t feel left out. In her SXSW talk, Meredith Haberfeld from ThinkHuman refers to a remote ecosystem as a virtual ocean where transparency is crucial for people to feel engaged, motivated, and connected to the company and each other. Things need to be over-communicated in order to avoid conflicts or misunderstandings. At Piktochart, we let people ask questions anonymously. Then we respond to them during our Ask Piktochart Anything sessions. We record them every Monday Morning Meeting (MMM) and send them to our remote team members. We encourage our remote teammates to present updates via pre-recorded videos, and we Periscope office and other events so that all team members can watch. We also run surveys about important subjects like company branding, and we let anyone pitch new projects to our functional teams. If there isn’t any regular contact, people can start to feel disengaged. As a team leader, ensuring the wellbeing of the team is one of my top priorities. I put special care into running regular one-to-ones with every team member, and I try to resolve any obstacles that might be in people’s way. We also organize monthly marketing meetings that everyone attends, regardless of timezone. Sometimes, this means a bit of sacrifice for some members, but we find it worthwhile to get everyone together. Monthly meetings are great for communication and bonding, and they also give us all a big energy boost. Synchronized communication is key to our teamwork. As a global, semi-distributed team, there are several tools that we couldn’t live without. Things like Slack, Hangouts, Trello, Google Docs, and FioApp (among others) make sure that people are always on the same page. Bonding with people from the office is probably the hardest thing to live without, but we still find ways to network and get to know each other. Every Friday, some of us get together on Hangouts for a “Virtual Coffee Session.” This is where we talk about hobbies, projects, or anything that’s on our minds. We also hold regular Ask Me Anything sessions where people take turns answering questions from others. But the most unique way to bond is Piktochart’s annual retreat. This is when we fly everyone in to the same location to network, brainstorm, and spend time together. Maintaining a remote team is like any other long distance relationship. It takes a lot of courage, patience, communication, and empathy. It’s all about being willing to share the same vision and align mutual goals through active communication. Of course, sometimes it just doesn’t work out. But when multiple people share a similar passion and are open to adapting—anything is possible. 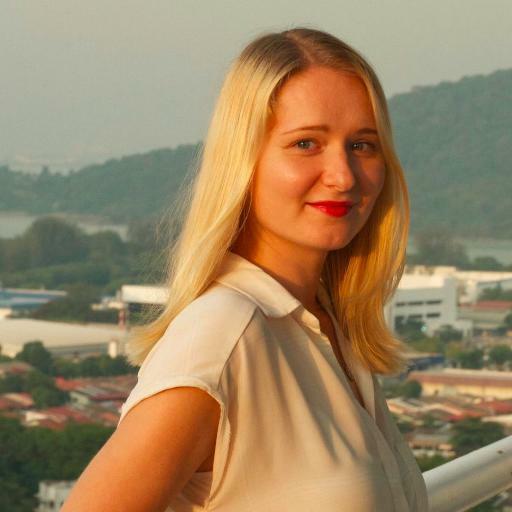 A true globetrotter, digital nomad and photography enthusiast, Marta Olszewska is a full-fledged marketer and a passionate community builder with 10 years of online marketing experience tucked under her belt. She now passionately leads the semi-remote marketing team at Piktochart to help people tell impactful stories visually, beautifully, and easily.